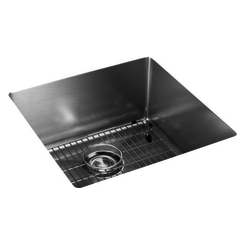 When it comes to a kitchen remodeling project, one thing you will want to consider is the type of kitchen sink to install. 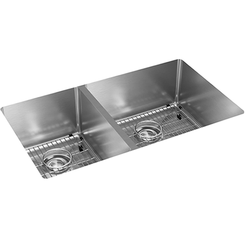 An undermount kitchen sink is perfect for those who want that look where the counter is flush with the lip of the sink (which makes for convenient cleaning). At PlumbersStock, you can choose from hundreds of options, including Swanstone, Elkay, etc. and you can even find the perfect matching kitchen faucet for your new sink. Undermount sinks install with mounting beneath the counter, rather than atop it. 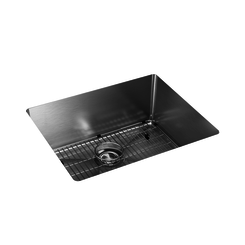 The undermount feature precludes the need for a rim, making a flush drop into the sink from the counter. 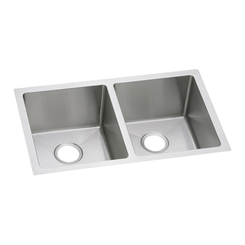 These sinks are compatible with various countertop materials, like quartz, granite, concrete, and any natural stone. 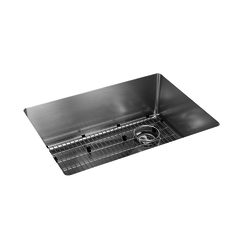 Easier to clean the countertop - tired of all the dirt and crumbs getting trapped under the sink's rim? Undermount sinks will make this problem disappear. Unlike a drop-in installation, an undermount configuration does not have a raised edge or lip. That allows you to easily clean the spills and brush the crumbs straight to the sink for continuous flow from the countertop. 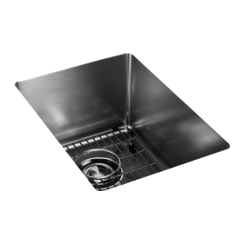 Installation can be a little tricky - undermount works best when installed in water-resistant and weight-bearing countertop materials, and installation can be complicated since there is more work to be done. 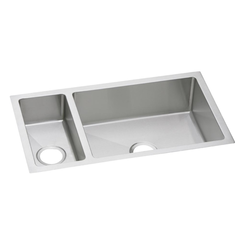 Enhances the interior design - when it comes to style, undermount sinks bring a sophisticated, streamlined look to your kitchen since the rim is hidden. 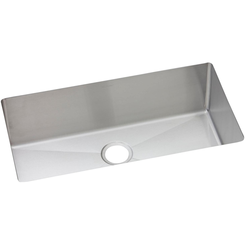 Countertop compatibility - they work best with waterproof, solid-surface and granite material since the edge of the counter will be exposed to water. They are not recommended for laminate countertops as they are susceptible to water damage, though it can be done. Cutting the countertop must be done very precisely, as opposed to sinks with a lip that can obscure and hide imperfections. Measure twice, cut once. 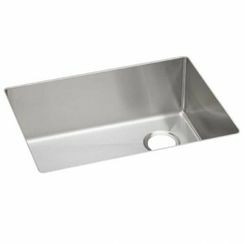 Saves countertop space - If you're tight on countertop space, then an undermount kitchen sink can save you a bit of room. 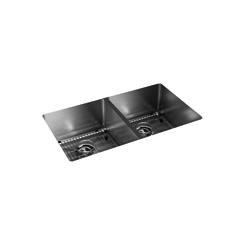 As you can see, undermount sink replacements have their advantages and disadvantages. Now, it's up to you to determine if it is best for your kitchen. Color: There are an array of colors for you to choose such as white, black, stainless steel, satin stainless, copper, bone, biscuit, and more! You can pick one that will match it with your existing fixtures in the kitchen or even complement the colors the way you want it to look. 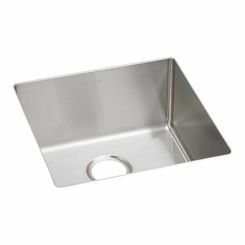 Number of Holes: most kitchen sinks have four holes, but it what you need is determined by the faucet and accessories you want. Just remember, a 4-hole faucet will not work with a 1-hole sink, but a 1-hole sink may work with a 4-hole sink (deck plates can be used to cover extra holes). Number of Bowls: this entirely a matter of preference. 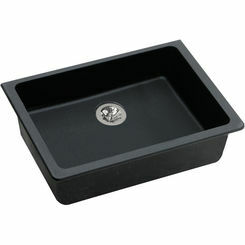 A double-bowl sink allows you to multi-task more easily. For even more flexibility, you can opt for a triple-bowl sink. 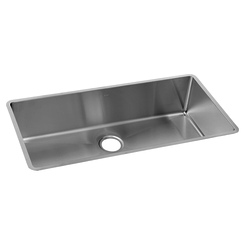 Material: most commonly, kitchen sinks are made out of stainless steel. 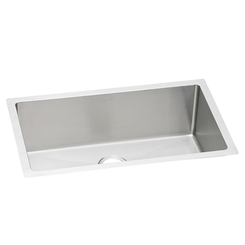 Stainless steel sinks, measured in gauges, are known for their resistance to scratch or stain and other special features, but they can be a little too loud, and they aren't the prettiest, either. We have everything, including porcelain, copper, granite composite, ceramic, fireclay, concrete, and more! Here is a great installation video made by the pros at Moen. 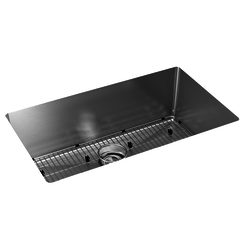 Before installing your undermount kitchen sink, it's so important to make sure you know all the right steps to take. Buy all the tools you will need for your installation ahead of time and have them ready to go when you start your install. Also, be sure and read your owner's manual thoroughly before beginning the sink installation process. Always have a friend close by in case you need a little help, and never lift anything that is too heavy to carry on your own. 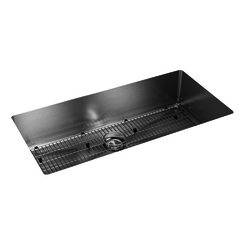 Following these simple tips will make your undermount sink installation so much easier while keeping you safe. 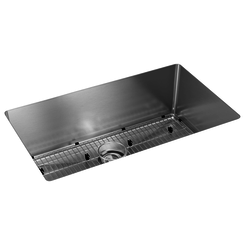 Keep in mind we have a huge selection of sink parts and drain pipe.